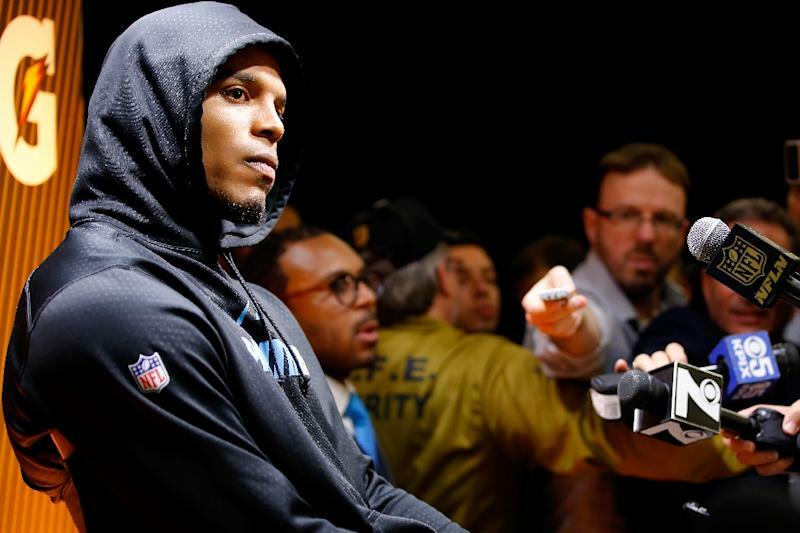 Los Angeles (AFP) - Carolina Panthers quarterback Cam Newton on Tuesday defended his sulky post-Super Bowl press conference display, justifying his behavior on the grounds he was a "sore loser". Newton has attracted widespread criticism for his conduct before reporters after the Panthers' upset loss to the Denver Broncos in Super Bowl 50 on Sunday. The 26-year-old National Football League Most Valuable Player gave a series of one-word answers before abruptly leaving after three minutes. Newton unapologetically explained away his conduct as he cleared out his locker at the Panthers training facility in Charlotte on Tuesday. "I've been on record to say I'm a sore loser. Who likes to lose? You show me a good loser and I'm going to show you a loser," he said. "It's not a popularity contest. I'm here to win football games." Asked if it bothered him that people had taken offence, he replied: "That's cool." "But I know who I am and I'm not about to conform nor bend for anybody's expectations because your or anybody else's expectations will never exceed mine," Newton said. Newton spoke to the media voluntarily on Tuesday even though he admitted he had not wanted to on Sunday. "I didn't want to talk to the media at the time," he said. "The truth of the matter is I really still don't want to talk to the media. But at the end of the day, things have to happen. "I had a lot of time to go back and play everything back. I'm human. I never once said that I was perfect. I never proclaimed that I was perfect, but at the end of the day, people pick and do things of that sort."